YOU'RE READING Has modern day pop culture ruined our perceptions of marriage? They say millennials only want the glitz and glam of a wedding, but not actual marriage. Should we blame pop culture for idea that they're mutually exclusive concepts? There’s a line from a Gold Panda song that goes, “If there’s such a thing as marriage, it takes place long before the ceremony,” – something I witnessed at a wedding I attended earlier this month with a close group of varsity friends. We’re all in our mid-20s, so this was the first wedding in our circle and was a lot to take in. When the bride said “I give all that I am to you” to the groom, our entire pew became a cocktail of emojis you would never use in the same text. There were tears, there was a hand on the mouth, wide eyes and even a giggling tipsy face. The reality of marriage was sinking in. Not only for the couple, but for all of us too. On the one end of the spectrum we have been fed a diet of hyperromanticised portrayals of marriage and on the other we’re sucking on the dry bones of portrayals of loveless marriages that make monogamy seem like a myth. We’re so used to Hollywood portrayals of marriage - a wedding followed by the impending doom of a divorce somewhere during the course of the movie, or reading about yet another celebrity marriage that didn’t last - that even when we are at real weddings with actual people we’ve known for a long time we don’t know how to handle it. Our generation is not only jaded and disillusioned by our own romantic disappointments, but by what we’ve subliminally internalised from the pop culture we consume on a daily basis. On the one end of the spectrum we have been fed a diet of hyperromanticised portrayals of marriage and on the other we’re sucking on the dry bones of portrayals of loveless marriages that make monogamy seem like a myth. So we see-saw between wanting it too much or not at all. Someone asked on social media just the other day if perhaps millennials think they’re too cool for monogamy – too cool to love wholeheartedly and openly. The more young people succumb to the idea of monogamy supposedly being dead, the less likely it is that that we’re going to enter marriages hoping that the only thing that will part us will literally be death. It was not the case at this wedding I attended, but there’s suddenly an air of anxiety that accompanies a wedding announcement. How long until one of them starts cheating? When are financial problems going to start being the ultimate thorn in their marriage? It’s really disheartening that the institution of marriage has not only become less appealing, but it’s also seeing fewer graduates, as divorce stats in South Africa are having their biggest moment to date. 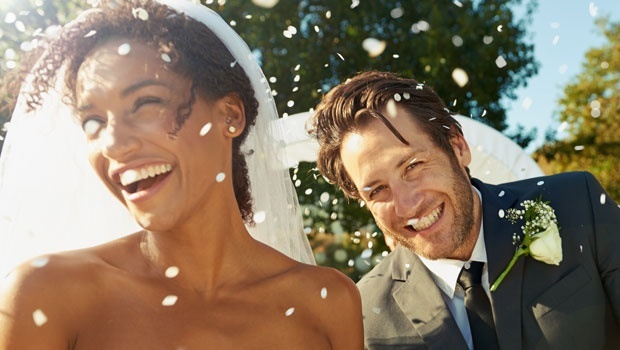 People are reluctant to pitch the idea of marriage to their long-term partners for reasons which differ from person to person, but perhaps one of the most popular reasons is that it just doesn’t seem financially viable for young 20-somethings anymore. Perhaps it isn’t, but the blame can also be put on what the media has told us is mandatory in a marriage – have a huge Fancy Nancy wedding within months of being engaged, buy a house and have children all within the infancy of your marriage and if you can’t do this, you apparently played yourself for wanting to commit to the love of your life. This is unnecessary pressure that people feel they can’t live up to, so they opt out altogether. Fact of the matter is, we’re getting a skewed view (whether amazing or abysmal) that is so far removed from what any of our realities may be and we’re taking it home with us and into our future relationships. Maybe I’m an old school romantic, but when it comes to serious matters of the heart, close that app, hit pause on that movie (unless it's 500 Days of Summer, which is pretty realistic) and chat through it with a mate because even the most Instagram perfect couples don’t post their fights on social media.